1. HA! Stupid American! 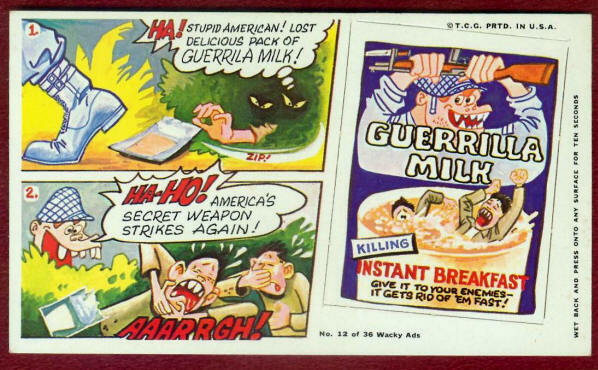 Lost Delicious Pack of Guerrila Milk! / ZIP! 2. HA-HO! America's Secret Weapon Strikes Again! / AAARRGH! Give it to Your Enemies - It Gets Rid of Them Fast!